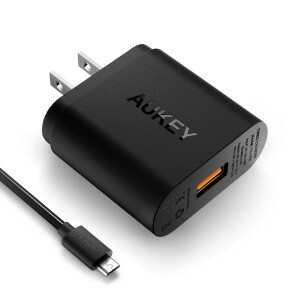 Amazon (Aukey) has a White Aukey Quick Charge 3.0 18W USB Turbo Wall Charger Sale $8.18, Free Shipping for everyone, normally Free Shipping $25+ or with Prime. 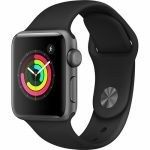 Use Promotional Code: CFET6QLG Expires Soon - Highly rated at 4.5 out of 5 stars. Charges compatible devices up to 75% faster than a standard charger. Also charges non Quick charge devices like iPhones. Compatible models include most Samsung Galaxy devices.